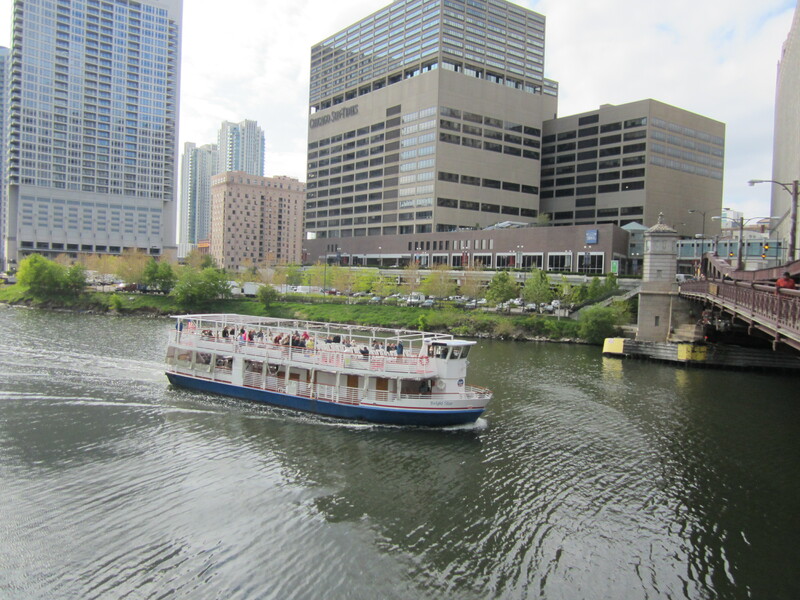 A local ordinance requires that all new developments along the Chicago River include public access to the waterfront, so eventually there could be a network of riverwalks to rival the Lakefront Trail. But for now it takes a little detective work to navigate the waterway by bicycle. I’ve researched a few “stealth routes” along the North Branch, connecting bits and pieces of riverfront path with quiet side streets—you can read about them at tinyurl.com/stealthroutes. 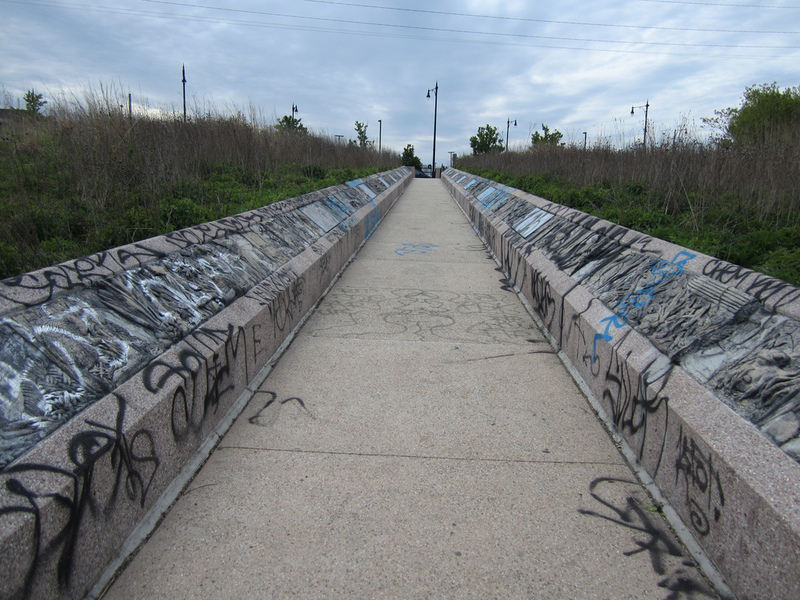 Last week I scouted out a fascinating route along the South Branch from the Loop to Bridgeport, but I should warn you that it isn’t completely legal. I started my journey on a sunny afternoon at the three-way junction of the Main, North and South Branches, which inspired the Y-shaped “municipal device” symbol seen on public buildings and bridges. Pedaling south on Wacker Drive (300 West), I cross the Randolph Street Bridge (150 North) and come to the Boeing Building, topped by a white, cube-shaped clock, harkening back to its origins as the Morton Salt headquarters. Here I access a series of pedestrian plazas along the west bank of the river, ending at Jackson Boulevard (300 South). After cruising east to Wells Street (200 West) I turn south under the ‘L’ tracks. At Van Buren Street (400 South) I come to the iconic neon sign for Cal’s Liquors, one of the Loop’s few remaining dive bars and a popular bike-messenger hangout. I cross Congress Parkway (500 South), which is being rebuilt with fewer car lanes and wider sidewalks, medians and pedestrian refuge islands—changes for the better. Southwest of Wells and Harrison Street (600 West) there’s a large piece of vacant land that’s officially off-limits to the public, but a doorway has been cut in the chainlink fence. Young professionals walk their dogs on the freshly mown grass and teens play hacky sack as the Willis Tower looms above them. I scramble down the wooded riverbank to the water’s edge where a homeless man sits near a couple of tents with a tarp strung over them. Wells ends at the Roosevelt Bridge (1200 South), but an open gate on the other side of the viaduct beckons me toward a rougher patch of empty real estate, nicknamed the Brownlands. In 2001, real estate developer Tony Rezko bought the land, hoping to build an IKEA and some 4,600 housing units, but his 2006 indictment for corruption, along with the real estate crash, put a damper on those plans. I cruise around gravel roads and narrow singletrack and climb a good-sized green hill, presumably built on construction waste, for an excellent skyline view. The land is covered with low scrub and young trees, and there’s even a marshy area with ten-foot-high cattails. 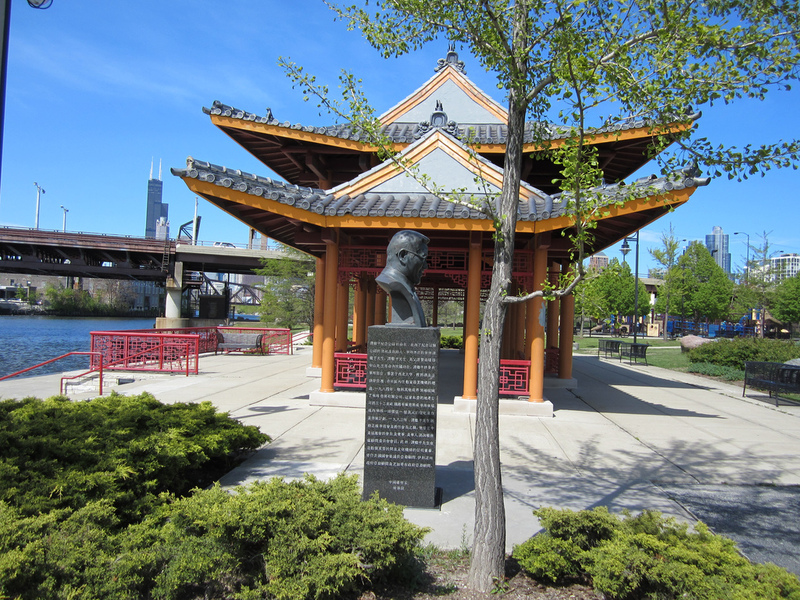 One of the roads leads underneath an elevated freight line at the south end of the land, emerging just north of Ping Tom Park, the lovely riverside green space named in honor of Chinatown’s foremost civic leader. Using a wooden pallet as a ladder, I climb over the fence with my bike and descend into the park, where I’m confronted by hissing Canadian geese defending their fuzzy yellow chicks. This manicured space with its stately orange pagoda contrasts with the rugged wilderness I just left, but railroad bridges at either end tower above the park like rusty brontosaurus. Exiting at 19th Street I stairstep down Wells, Tan Court (2000 South) and Princeton Avenue (330 West) through a faceless brick development, then pass Chinatown Square, a pedestrian mall lined with some of the neighborhood’s best restaurants, including Tony Hu’s red-pepper-crazy Lao Sze Chuan. After heading west on Cermak a couple blocks, I turn south on Grove Street (530 West), an industrial access road that parallels the east bank. The pavement ends at Canal Street Self Storage, which features a huge mural with American flags and the words “December 7, 1941 / September 11, 2001–America will never forget,” visible from the adjacent Dan Ryan. A gravel road takes me under the expressway and up a rail embankment, where I find myself pedaling alongside freight tracks and the Orange Line—I’m right behind the Halsted station. After a few blocks the embankment becomes too narrow to cycle on, so I walk down to street level at Hillock Avenue (1000 West) and find myself in an odd enclave of the Bridgeport community, sandwiched between the river and the Stevenson. As I follow Eleanor Street (2500 South) along the east bank, it becomes a tree-lined thoroughfare with bungalows. It’s a blue-collar neighborhood, so I’m surprised to see a trailer loaded with racing shells for rowing crew parked by a small boat launch located at 1500 West. Teens are securing the shells to the trailer, and their coach explains that they’re with the Chicago Training Center, a program that introduces underserved youth to the sport of competitive rowing. Heading south on Lock Street (1500 West) and southwest on Archer Avenue (2900 South), I cross Bubbly Creek, the south fork of the South Branch. The creek got its nickname during the stockyard days, when slaughterhouse workers used it to dispose of blood and guts and the gases from the decomposing offal would bubble to the surface. Pedaling north on Ashland Avenue (1600 West), I come to another three-way junction where the creek and the South Branch meet the Sanitary and Ship Canal, a fitting place to end my excursion. To my right is Canal Origins Park, with artwork and signs that tell the story of the old Illinois and Michigan Canal, whose Chicago portion was paved over in the sixties to make room for the Stevenson Expressway. Opened in 1848, the I&M served as the missing link for the inland water route from New Orleans to New York, helping make Chicago the nation’s transportation hub. Bridgeport takes its name from its location at the head of the canal, and many of the Irish immigrants who dug the waterway settled in the neighborhood, home to the Daleys and several other mayors. Sadly, most of the signs and cast-concrete bas-reliefs are covered with graffiti. But I can still make out a poem that Gwendolyn Brooks wrote for the canal’s 150th anniversary celebration, which includes the words, “The Illinois and Michigan Canal is rich for re-perusal and respect.” She’s right, and re-perusing the waterways of the Near South Side has reminded me that our city always offers undiscovered nooks and crannies worth exploring. Critical Lass This monthly five-to-eight mile bicycle pub cruise is strictly for women and transgender folks. This month the ride heads to Mayan Palace in Lincoln Park for margaritas. Thursday, May 3, Hamlin Park, 3035 North Hoyne, facebook.com/criticallass, 6pm; free. First Friday Ride Take a leisurely nighttime tour of the city with members of the Chainlink in search of poutine, a Canadian snack consisting of fries with cheese curds and gravy. Friday, May 4, The Globe Pub, 1934 West Irving Park, (312)772-5060, firstfridayride.com, 8pm; free. Chicago South Side by “L” This train excursion traces the development of several South side neighborhoods, including Bronzeville, Chinatown and the South Loop. 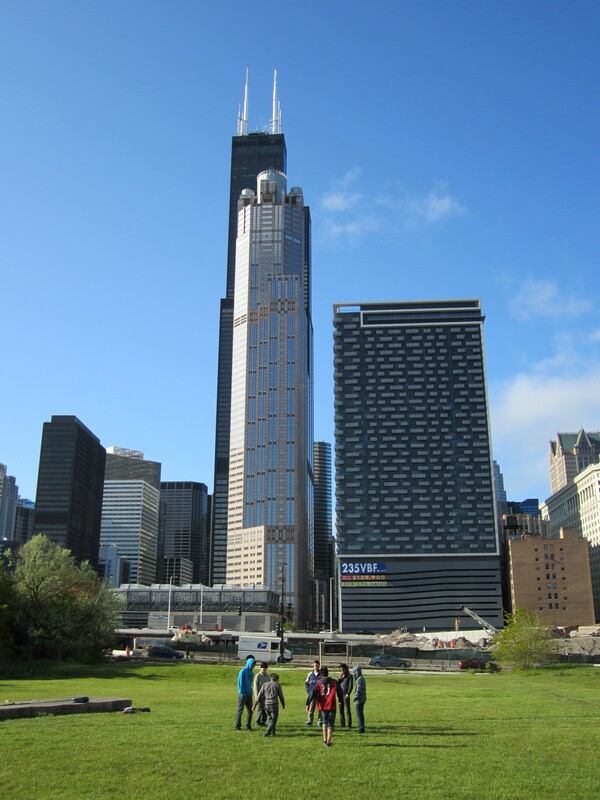 Saturday May 5, Chicago Architecture Foundation, 224 South Michigan, (312)922-3432, architecture.org, 9:30am; $20. Berwyn Bikes and Bungalows Ride This tour highlights the distinctive architecture of this nearby suburb, as well as the Berwyn Active Transportation Plan, which aims to improve the local walking and biking environment. Saturday, May 5, Proksa Park, 3001 Wisconsin Avenue, (708)788-8100 cityofhomes.org/events, 8:30am-1pm; $5. World’s Columbian Exposition of 1893: Burnham and Holmes “Where to Bike Chicago” author Greg Borzo leads a two-wheeled tour of South Side sites associated with the famous architect and the infamous serial killer. 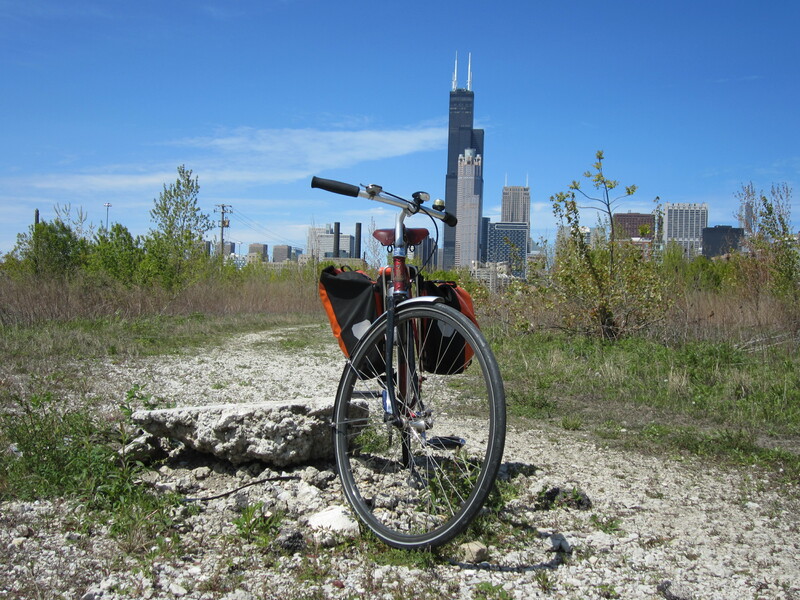 Sunday, May 6, contact Borzo to RSVP and for the starting point, (312-636-8968, chicagocyclingclub.org, 9:30 am; free. Lakeview Pub Crawl This Chicago Architecture Foundation walking tour explores the neighborhood’s German roots, the history of the Belmont business strip and the “tied house” brewery-funded bar phenomenon. Tuesday, May 8, Belmont ‘L’ Stop, 900 West Belmont, (312)922-8687, architecture.org, 6pm-8:30pm; $15.